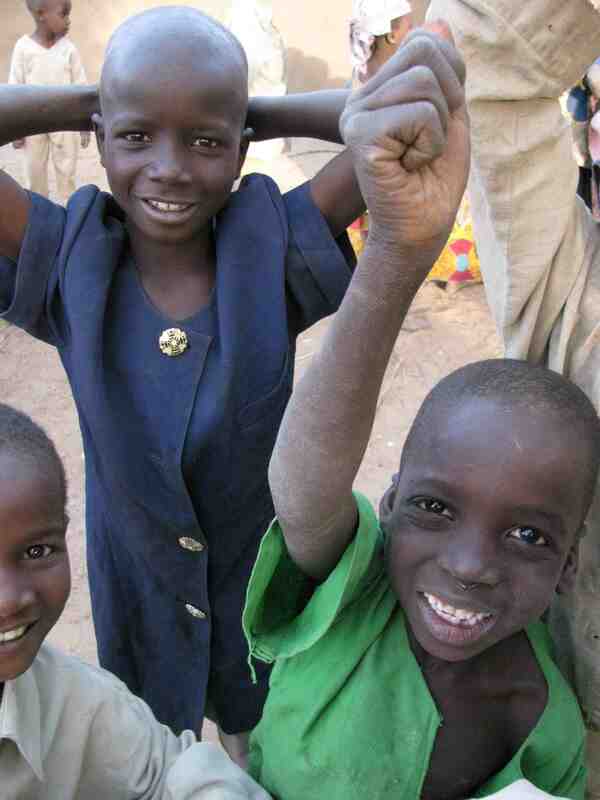 Far be it from me to forget my promise, so: Greetings from Nigeria! We all know a picture is worth a thousand words. I’m gonna put that to the test. 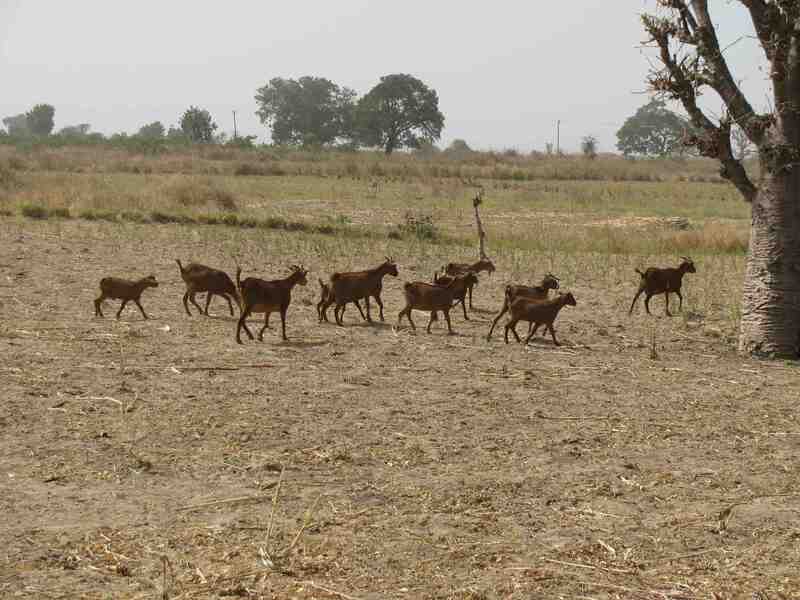 The following are my stories from my amazing trip to Nigeria. Enjoy! 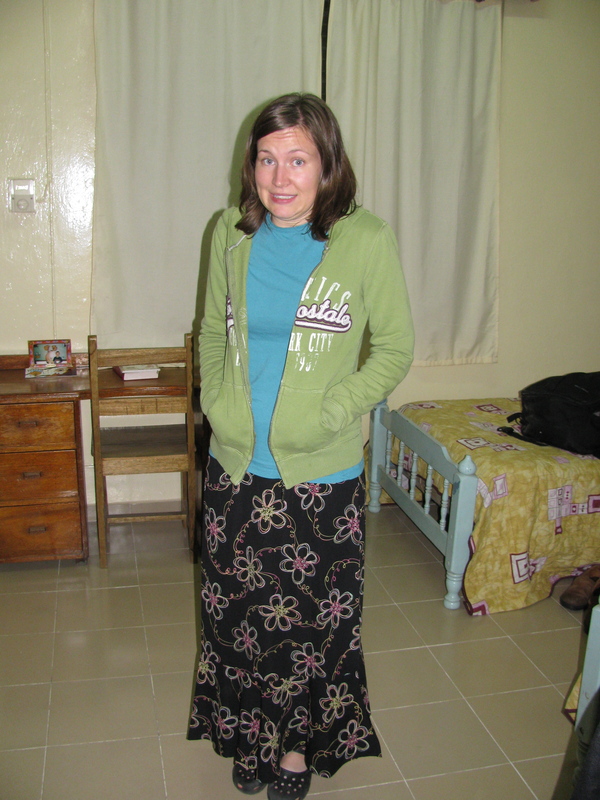 This is me – freezing in Africa. That’s right – laugh it up. 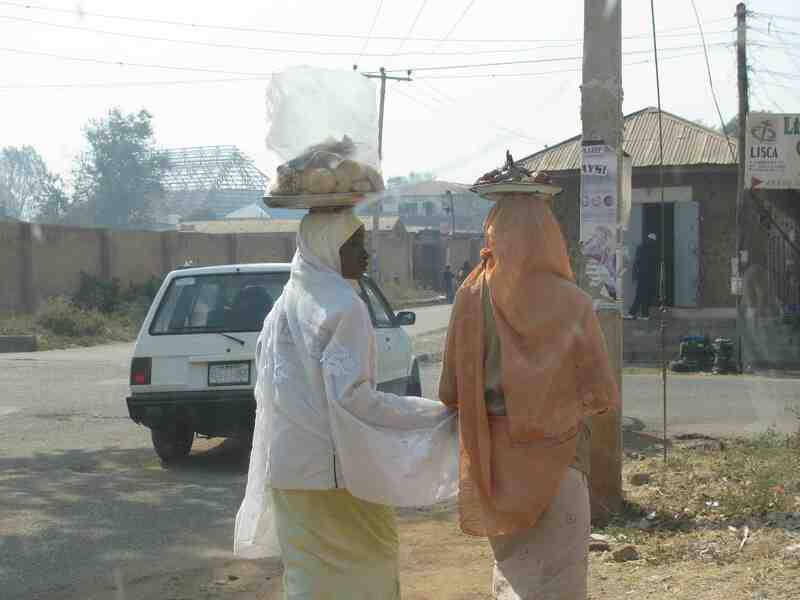 Most of the Nigerians were wearing winter coats and hats! It was 85 degrees. I was looking pretty tough in my Tshirts. 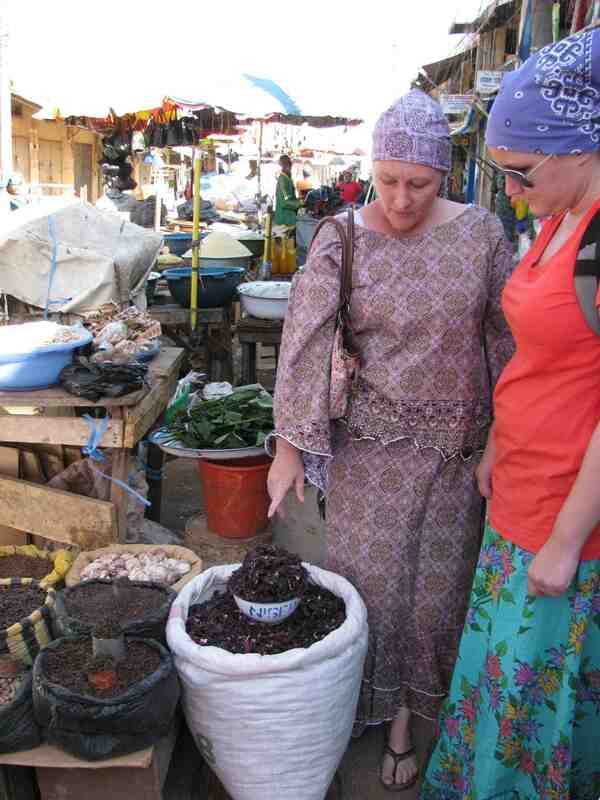 The market in Jos. 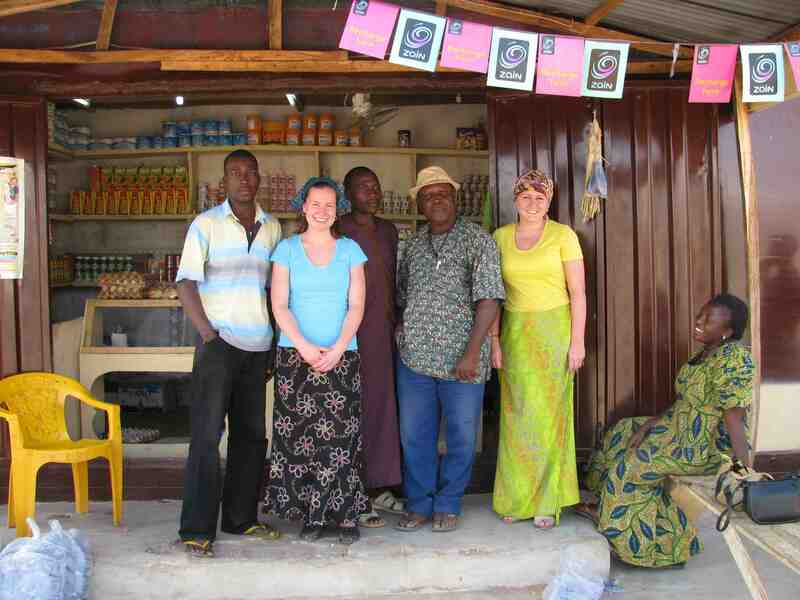 We came to buy fabric to have some Nigerian clothes made for us! 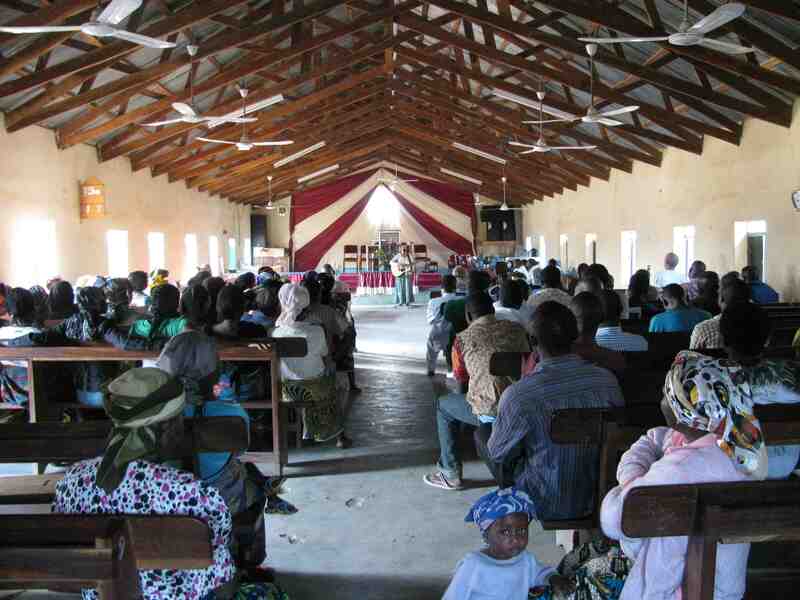 The Gidan Bege (House of Hope) – a ministry to widows who have no source of income. 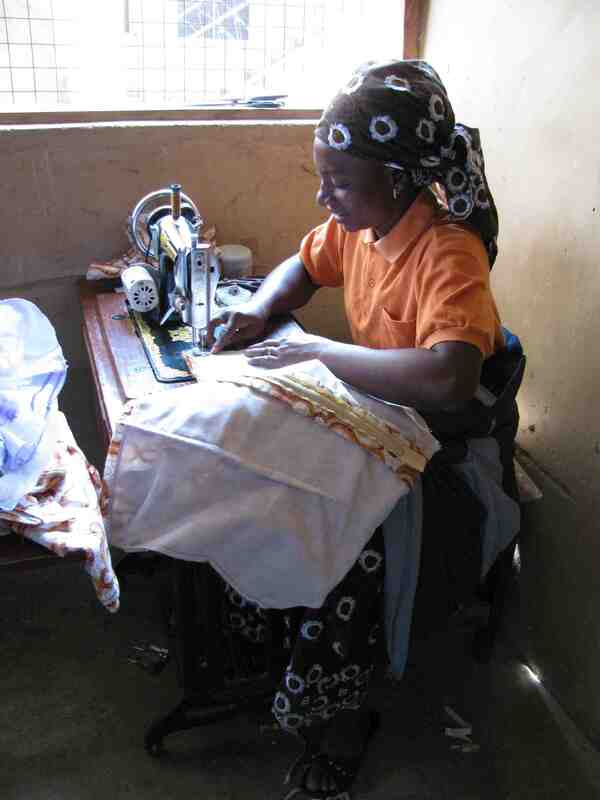 They teach the women how to sew and give them a sewing machine when they complete the program! 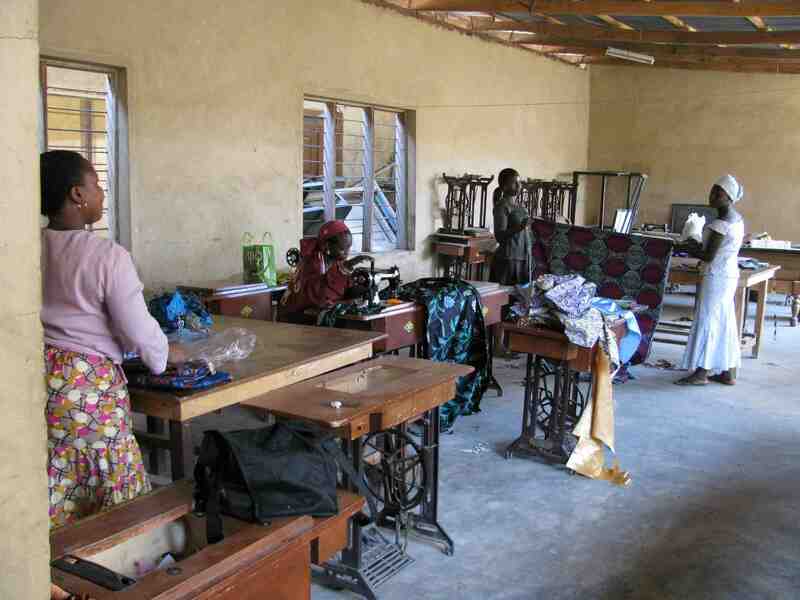 We brought our fabric here to have these lovely women make us some clothes! Nigerian Walmart. The guy in the jeans is the welder and a friend of Frank’s – he made us practice our Hausa with him: Sannu! 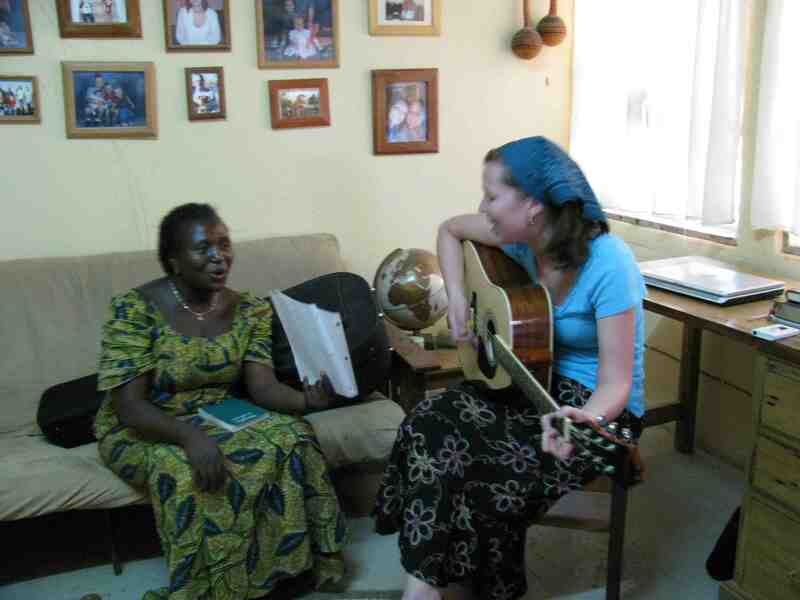 Martha taught me a song about Jesus in Hausa: “Ni San Je (I Will Go)” – from this point on, I drug her on stage to sing it with me wherever we went! 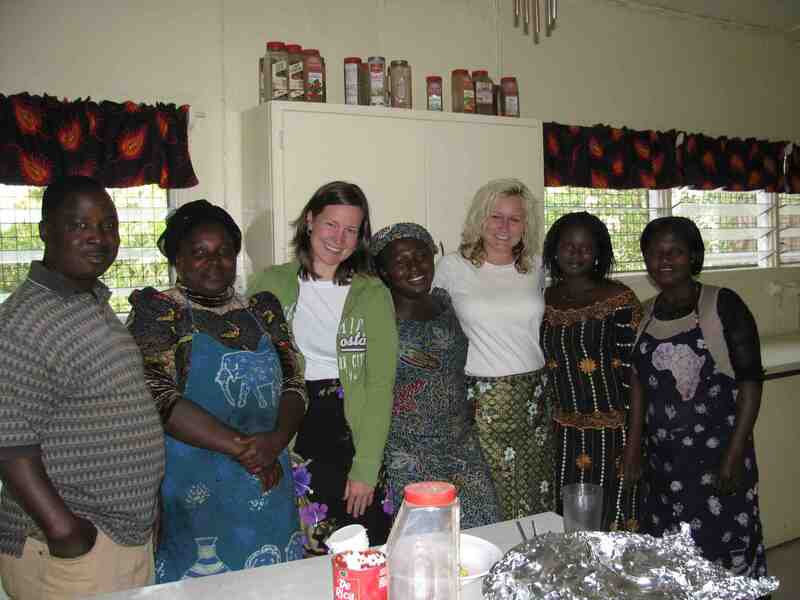 In the village of Maidugu – Holly is pulling water out of the well and Martha is laughing at her. It took some sweat to get that water out! I kid you not: when we finally finished filling the pot, a little 8-year-old stick of a girl put it on her head and walked off with it. We visited a lot of women in the village. 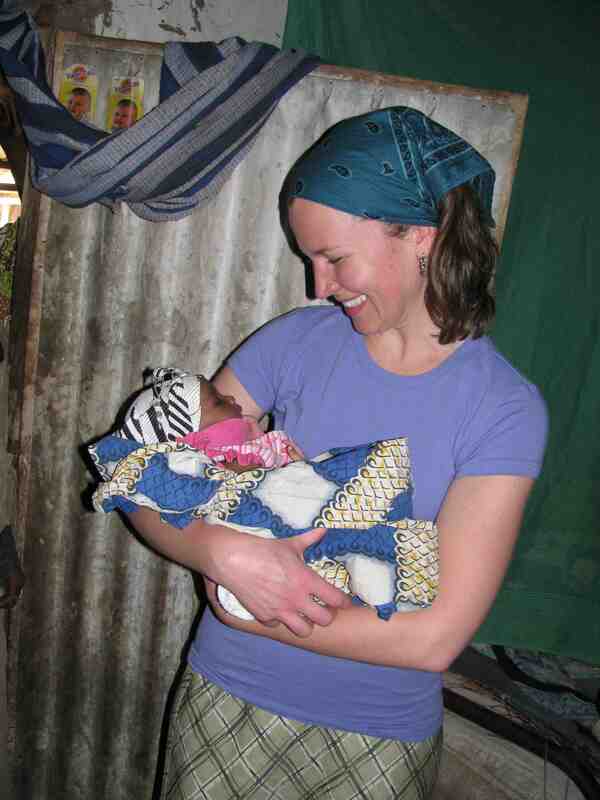 We had just barely finished introductions and the women would give us their babies to hold. 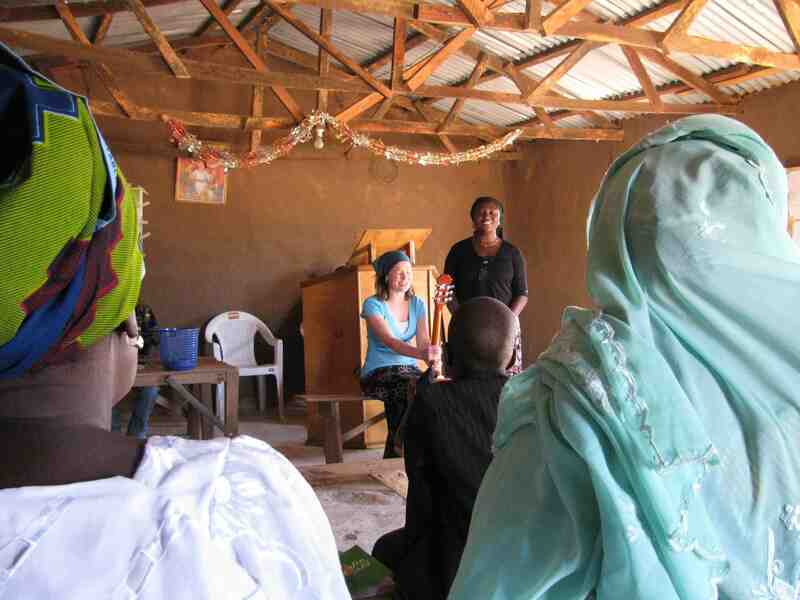 In this village, there is little-to-no access to uncontaminated water or good nutrition. Only 50% of babies here survive infancy. We couldn’t get enough of the kids. And they couldn’t get enough of us! The fingernail polish was a big hit. My weak, American arms just aren’t cut out for village work. I’m apparently not coordinated enough, either. I got ambushed by these boys when I walked by their football game – they saw my camera and wouldn’t rest until I had a few more shots of them. I will never forget the way they squealed when they saw themselves on the camera – priceless. This is the church Frank and Carole attend. 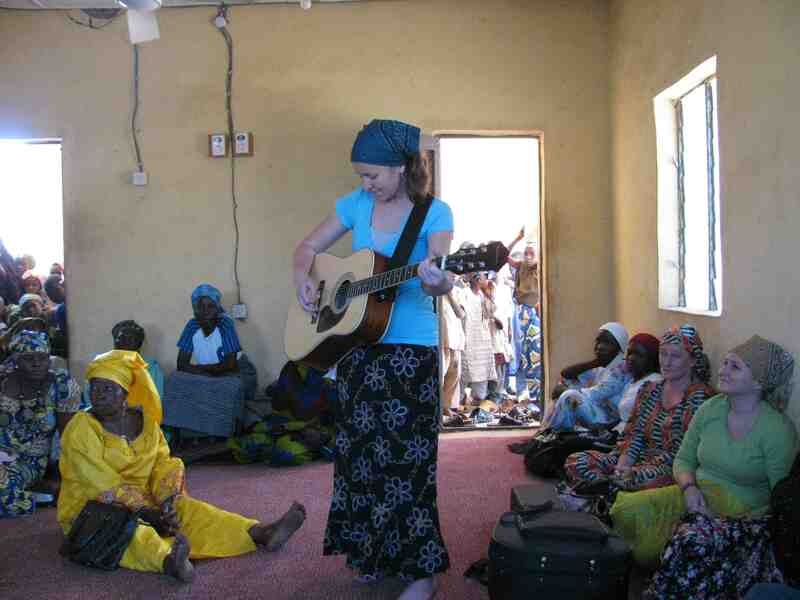 Martha and I are singing “Ni San Je” here – and lizards up to two feet long are crawling up and down the walls of the mud building during the service. The chicken. By the time they were finished giving us gifts, we were both in tears – their generosity was overwhelming. Sadly, we couldn’t get the chicken a visa, so we gave him to a very grateful Nigerian family. Sorry, chicken. 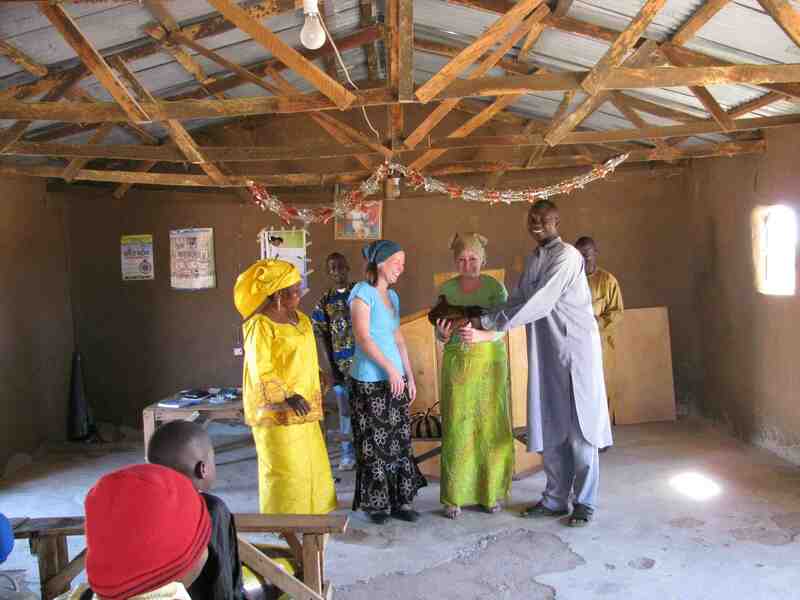 We got to join the bush church as they went to the homes of 3 Muslim chiefs to bless them and wish them a happy new year on the first Sunday of 2010. It was very special for the church to bring me, a musician from America, with them to play and sing to each chief as part of their New Year’s blessing! Those are the chief’s children crowding the doorways to hear. The home of another chief – I’m playing “My Worship”. This one was so grateful he waved me over to him when I was done playing and put 150 Naira (Nigerian currency) in my hand to show how grateful he was. 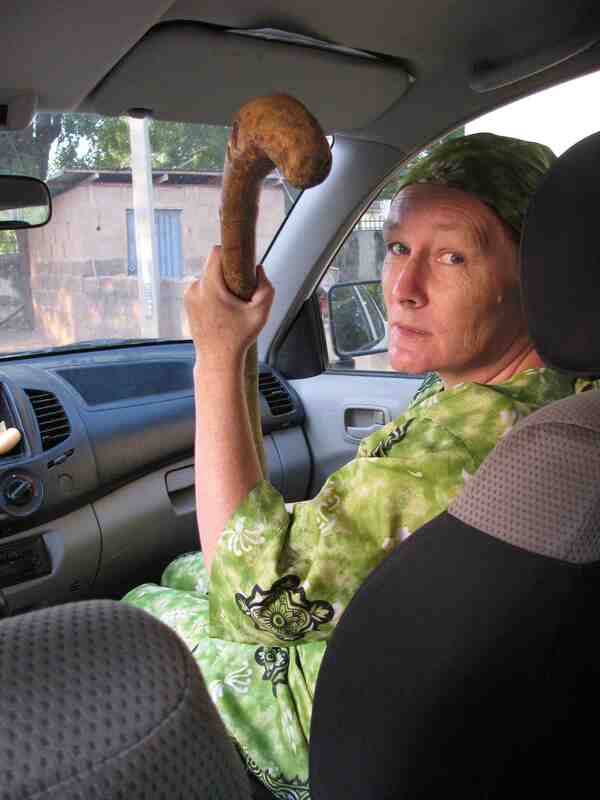 This is Carol’s baboon stick. According to her, when it comes to baboons, you can never be too careful. Nigerian colors are a mystery to us. This is an orange. A ripe one. 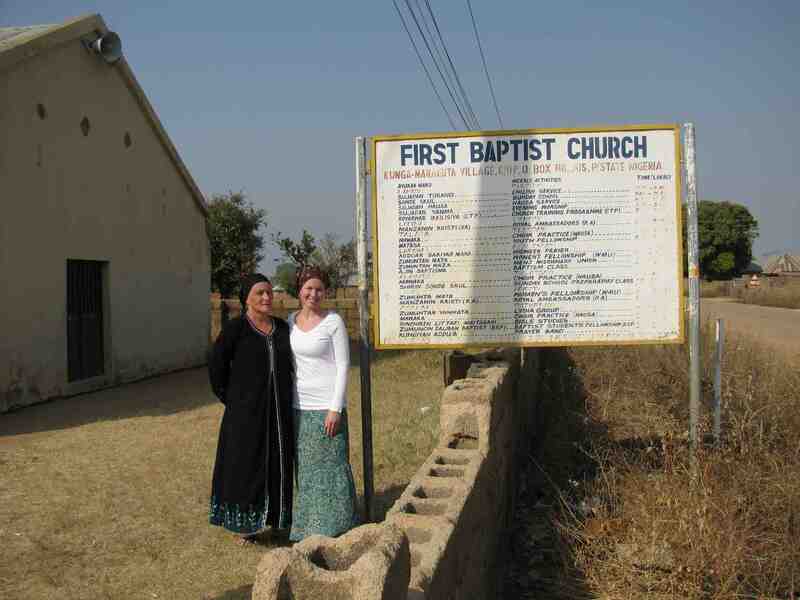 Carole and I in front of the church – I played a concert for their Wednesday evening service. These people have necks of steel. 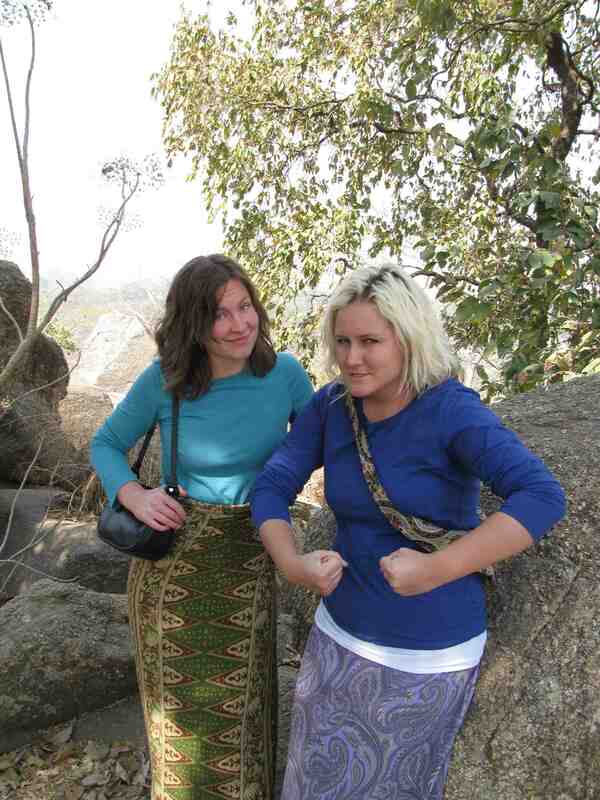 Holly and I upon our completion of our Nigerian “hike”. It can’t be compared to the Colorado Rockies, but with those wrap skirts on, we may as well have been climbing the Himalayas. When we got to the top, the promised “amazing view” was completely obscured by a house and a water tank. Sweet. 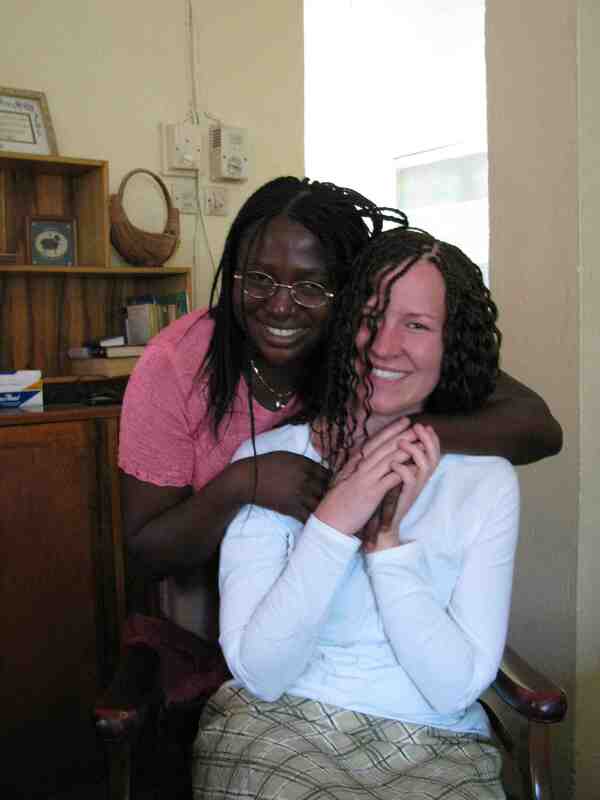 Our friends who work at the Baptist Guest House, where we stayed in Jos. 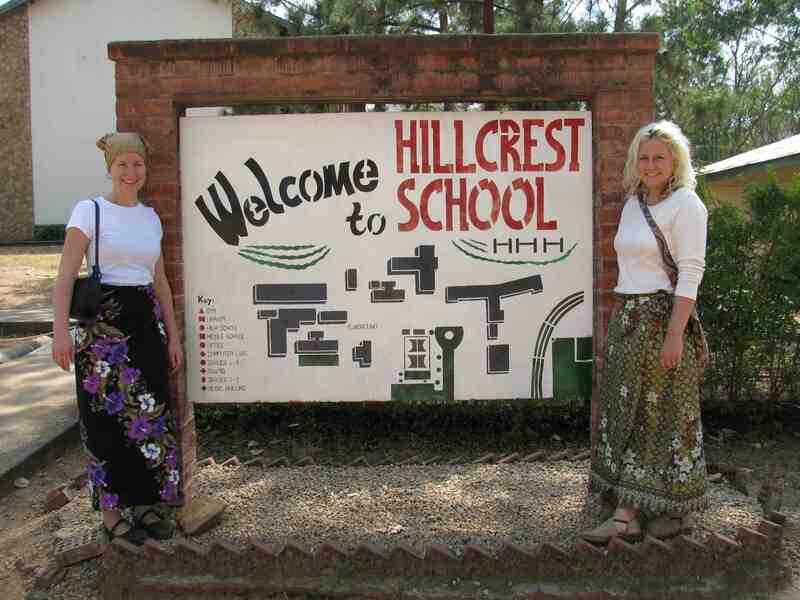 I am currently planning a return trip to Nigeria in April 2010 to lead worship at this school for their spiritual emphasis week! Our friend Joe Bird. He likes to be pet, but it’s safer to do it with a pencil. My good friend Martha – what a piece of sunshine! We couldn’t have done it without her. Here, she’s congratulating me on my new hair. 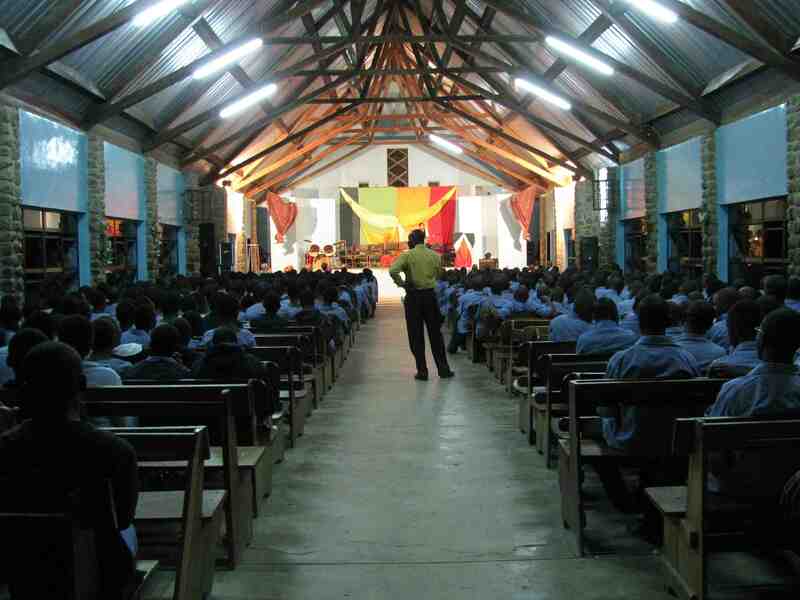 Baptist High School in Jos during my concert for their back-to-school night. And that wraps it up for now. Praise the Lord for such an amazing trip. His hand was all over it. I can’t wait to go back. Stay tuned: videos from the trip coming soon at http://www.meganisaacson.com! 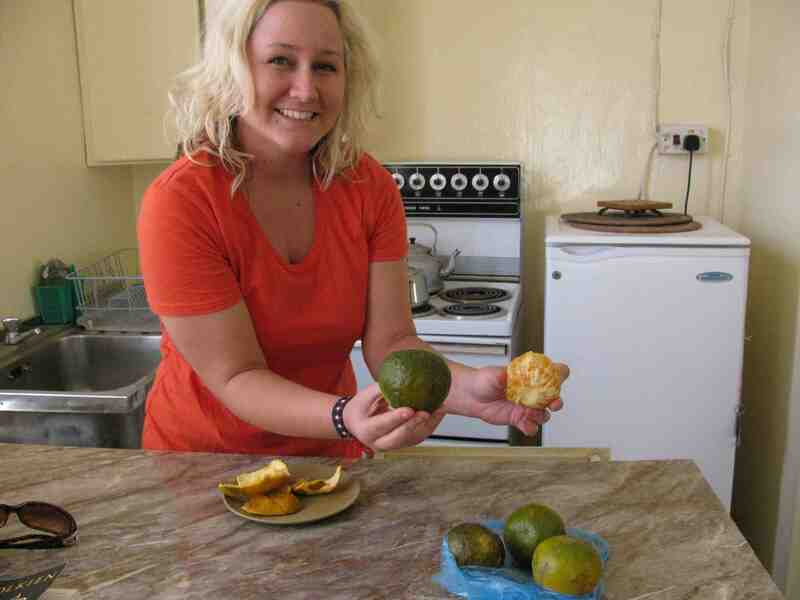 What an amazing trip Megan! I am glad to see it went so well. Thank you for sharing about it! Megan, these pics are so awesome! What a beautiful person and minister of the Gospel you are! Thanks for sharing and I’ll be praying as you head back this week. Grace and Peace to you my sister! Wow! That is so awesome. 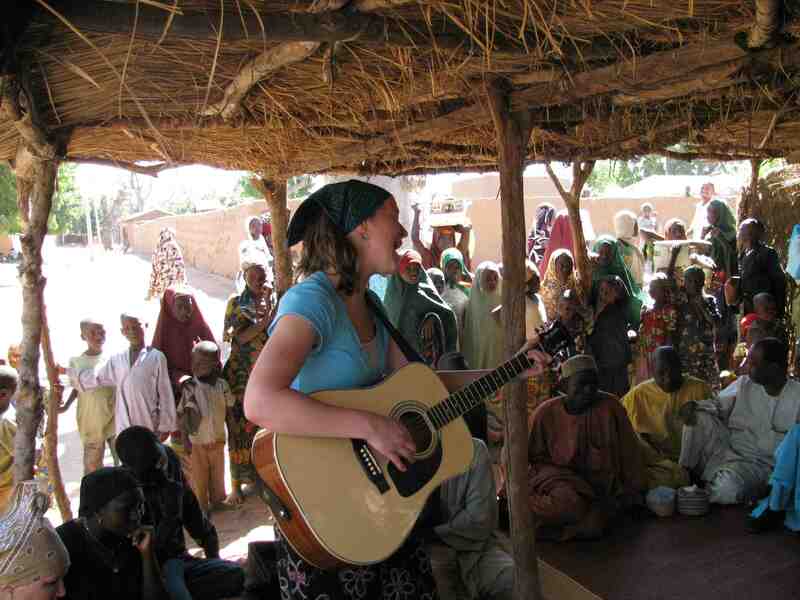 We need to head out to Africa together one day and do some worship together! Have fun on your next trip.